The soothing words and the enchanting picture of flower very much go together.. Well Composed! After reading wonderful quotes on flowers, now original Haikus by you.. wonderful!! Lines are well suited to pic. The words of your haiku are spot on for the flower photographed. I like this new layout of your blog. That flower is beautiful! What’s it called? May those smiles never go away! 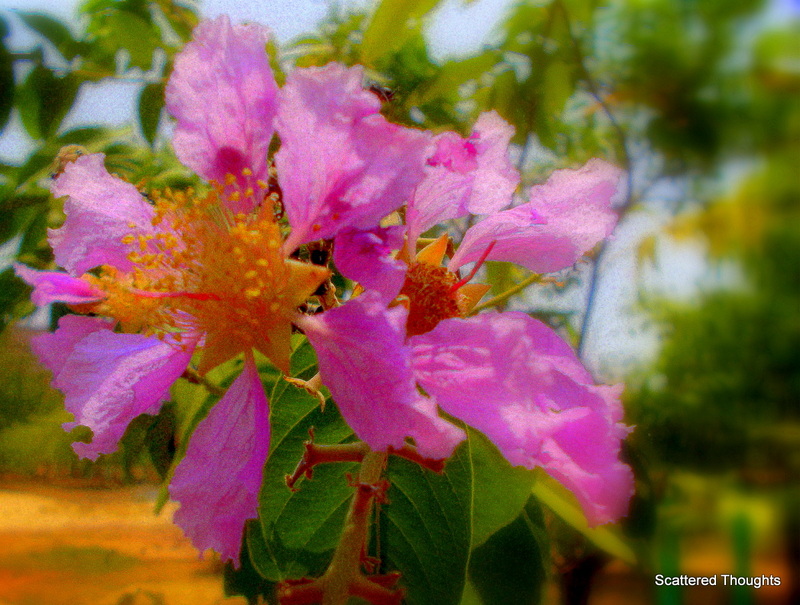 The smiling petals of a summer blossom :).. Nice Maniparna, missed your Haikus the last couple of days. May I know the name of this flower btw? Beautiful Haiku Maniparna. I feel like saying delicate demure smiling petals spreading joy ..! Really special Maniparna – much charm in the words chosen for the Haiku.